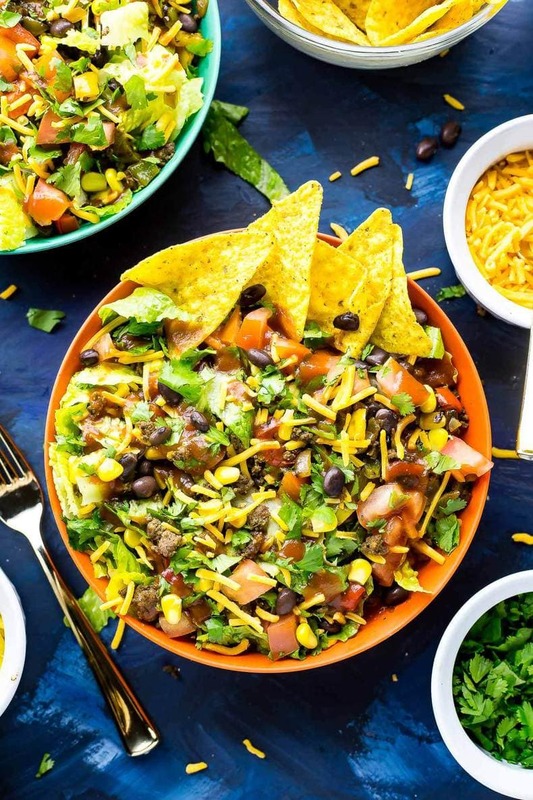 This Doritos Taco Salad is a delicious 20-minute dinner filled with fresh veggies and Cool Ranch Doritos, then topped with cheese, cilantro and taco sauce! Welcome to the mid-week meal of your dreams!!!?????? I don't know about you, but Fridays always used to be the fun meal of the week in my house. My mom would often put homemade build-your-own mini pizzas on the menu, or we'd have taco night with all the fixings, or sizzling chicken fajitas or Chinese takeout. Something super fun that paired well with a movie and some general family hangout time. Friday was the day we'd look forward to more for the food than anything else – the anticipation of what delicious creation we'd have was almost too much. Fast forward a few years, and dinner is still one of the things I look forward to the most each and every day. 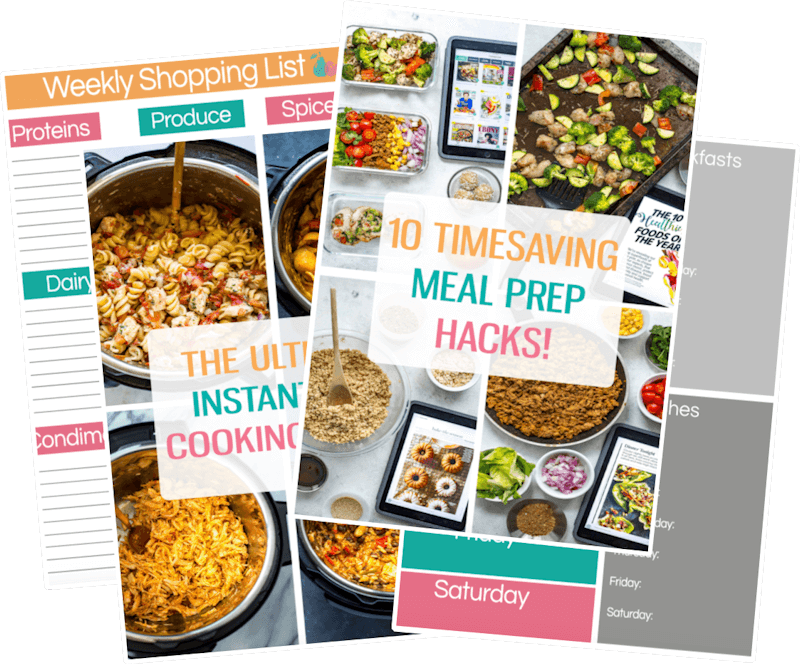 There's something oddly exciting about building my weekly meal plan on Sunday, getting the groceries then bringing my vision to life each night. Some days I work super hard and cooking is a therapeutic end to the madness, where I don't have to follow any rules and I can just toss in some spices here and there, not measure anything, and just go with my natural instinct while tasting along the way. If I'm feeling really crazy I might even have a glass of wine and watch my fave TV show while I'm doing it (usually some sort of trashy reality TV because let's be real, if it were a Shonda Rhimes show I would have to back up and rewind the second I got wrapped up in something else). As a full-time food blogger, I'm sure I don't have to convince you anymore that I really, really love to cook.? But then there are those days when I'm so tired that all I can think of doing is grabbing a TV dinner or something fast on my way home from the gym, which is terrible, I know, but the thought of cooking or spending a ton of money on something I'll be too tired to eat anyways is not too appealing. And it's now that I start to see why my mom used to make all these super yummy, yet super easy, meals on Friday nights. 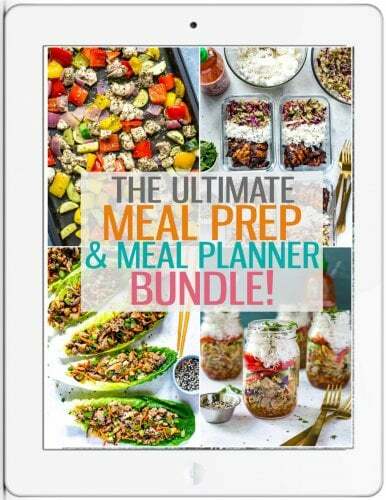 It's not necessarily because Friday is the best day of the week and in need of celebration, but more because it's the night you're exhausted after working hard all week and you need to throw together something quick. And I thought those build-your-own mini pizza nights were just a fun activity…? 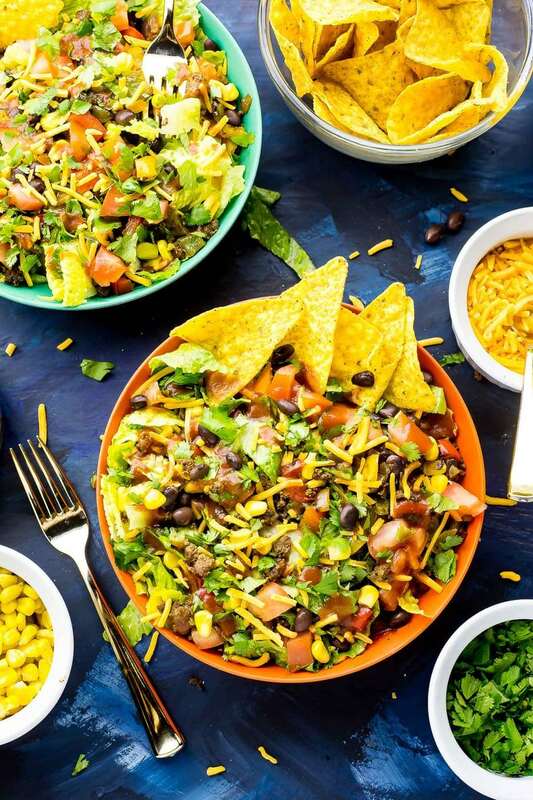 I promise you that this 20-Minute Doritos Taco Salad will bring you those Friday feels on a weeknight, and the bonus is that for the second day in a row, I'm bringing you a super quick and healthy 20-minute dinner!!!?? Just don't eat all those Doritos in one sitting okayyyyyy? Even though we've got some store-bought cheesy tortilla chips (umm, hello Cool Ranch Doritos, you da ???) in this recipe, I still classify it as healthy. First of all, because salad – DUH. 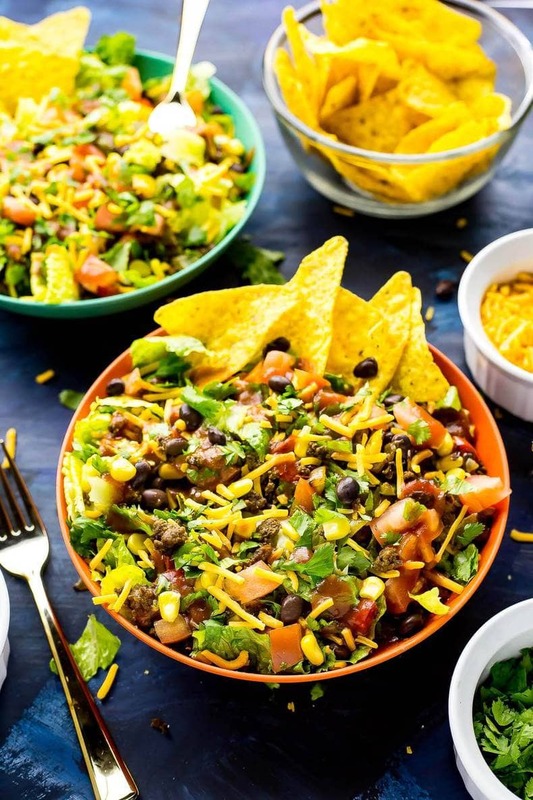 But second of all, if you only have 5-10 Doritos, then this is still a relatively low-carb meal and lets you enjoy some of your favourite junk food without guilt. It's part of a meal. We aren't snacking here. Go nuts! 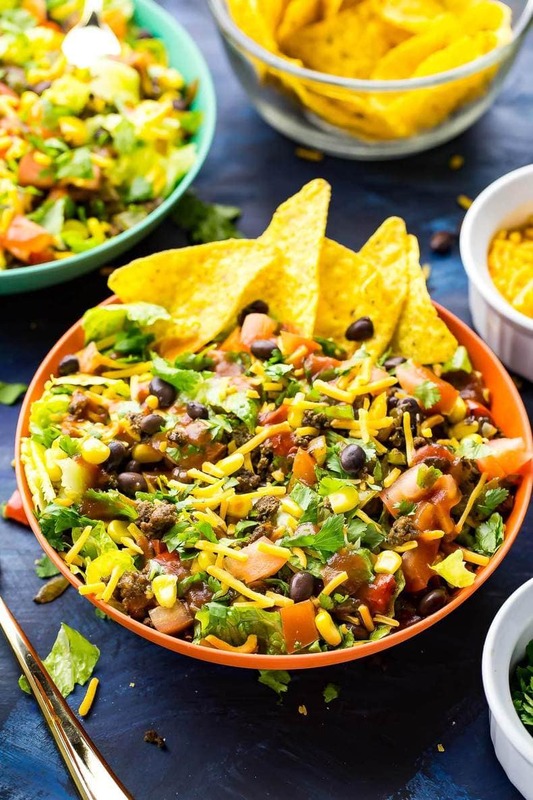 This Doritos Taco Salad is also a great make ahead meal and it's a salad that travels well as leftovers. I was thinking of turning this into a mason jar recipe because it would be the perfect lunch to make all your co-workers jealous, and you can easily whip up a giant batch to feed yourself for the whole week. But if you're gonna do that, I might recommend that you use ground chicken or turkey as opposed to ground beef just so you're not eating red meat every day of the week. Ground poultry also tends to be a leaner, lower-calorie, healthier protein. But like anything I put up here on the lovely ole' blog, it's up to you! Seriously, this list could go on and on if you don't stop me. Point is, I just wanna encourage you to get CREATIVE with this salad, people. Salads don't have to be boring. 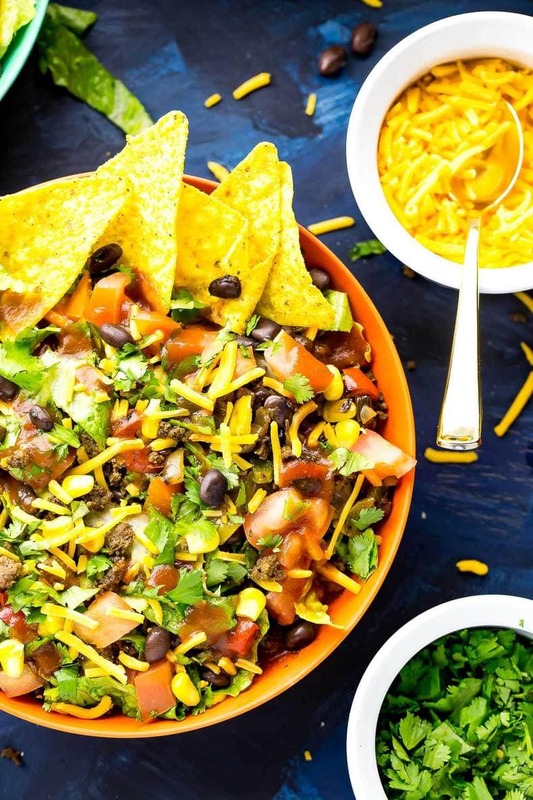 Will you be throwing this 20-Minute Doritos Taco Salad together tonight? It's a super fun and healthy recipe that will really transform a blah day, trust me. 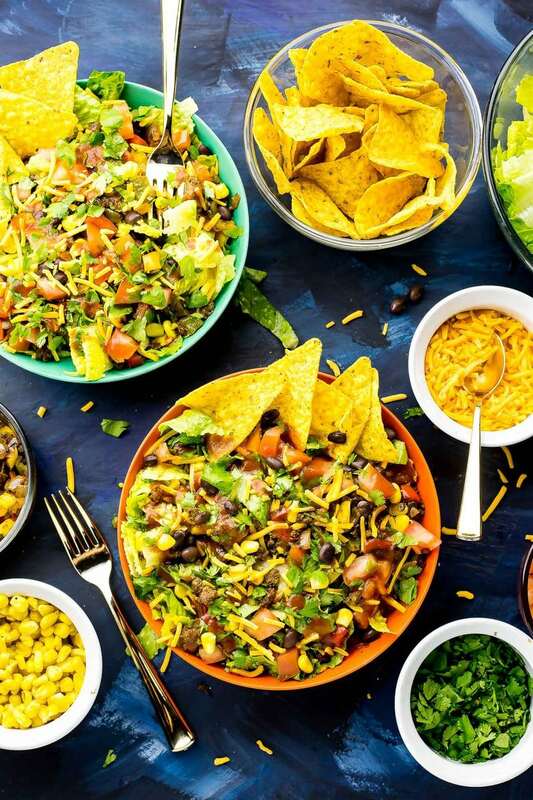 Can't every night be one giant fiesta, AND quick and easy? In a large frying pan, heat 2 tsp olive oil over high heat. Add bell peppers and red onion, sauteeing for 4-5 min and stirring occasionally until veggies start to turn a bit charred. Remove veggies from heat and set aside. Lower heat to med-high and wipe pan clean with paper towel. Add remaining 2 tsp olive oil, then ground beef, breaking up with a spoon. Cook for 2-3 min until slightly browned, then add taco seasoning. Cook for another 10 min until beef is fully cooked. 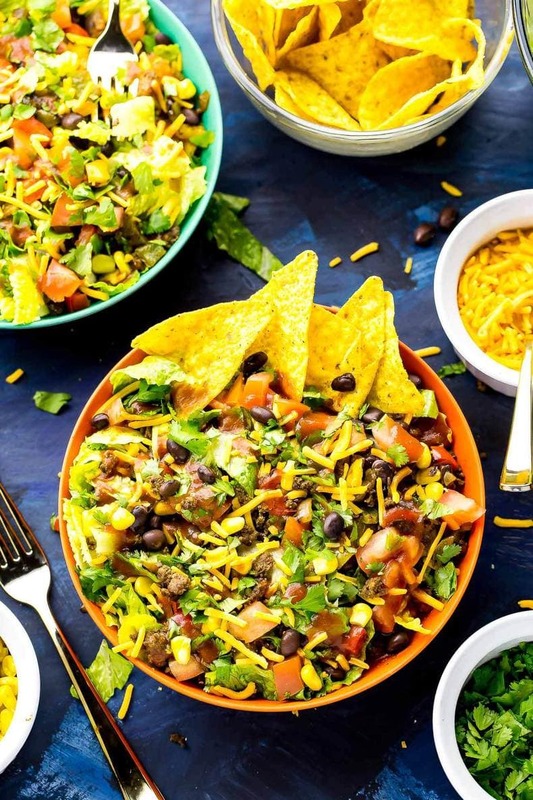 Add lettuce to four bowls, followed by sauteed peppers and onions, black beans, corn, diced tomatoes, cheese and cilantro. Add 5-10 Doritos to each bowl. 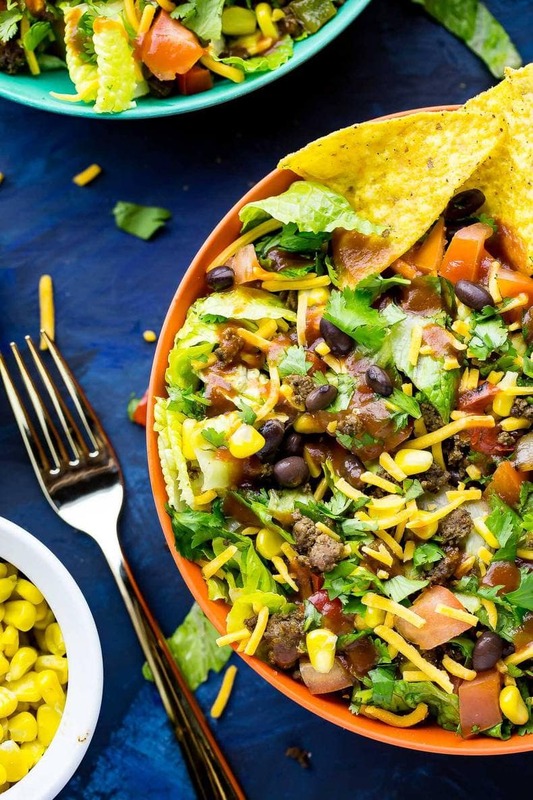 Drizzle each salad with taco sauce and enjoy! I look forward to dinner as well… it’s seriously one of my greatest joys. Like I look forward to Steak Friday more than Christmas haha not even joking. You’re bringing back some really happy memories with the Cool Ranch Doritos. That was my favorite flavor and I actually used to buy it from the school’s concession haha.